A company called Perlick is now offering a range of 15-inch refrigerated bathroom vanity drawers for safely storing and extending the life of organic or other personal hygiene products, like makeup or even medication. But let's be frank here. Sometimes when you're heading into the bathroom to take care of things, you really have no idea how long you're going to be in there. 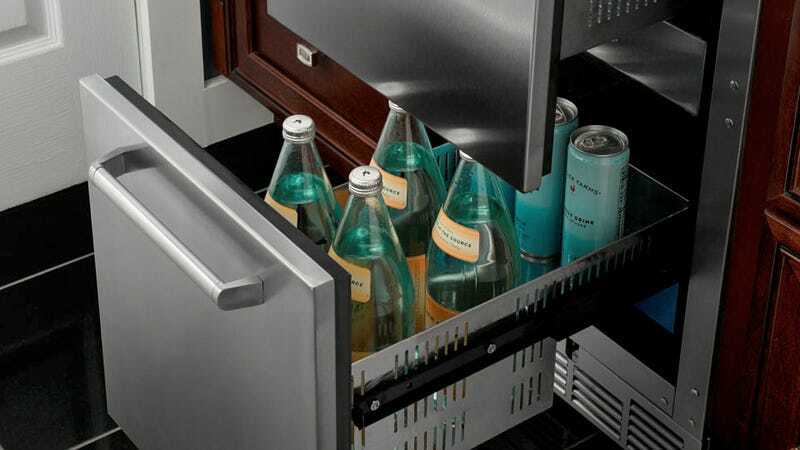 Occasionally it can take just a few minutes, but most of the time you'll probably be enduring an extended stay—so a refrigerated drawer where you can store refreshments and provisions is a brilliant idea. Hygiene issues aside, sometimes you need a little bit of extra energy to get you through the home stretch, and with a starting price tag of around $3,000, this seems like the best thing you can have in your bathroom next to an extra roll of toilet paper.